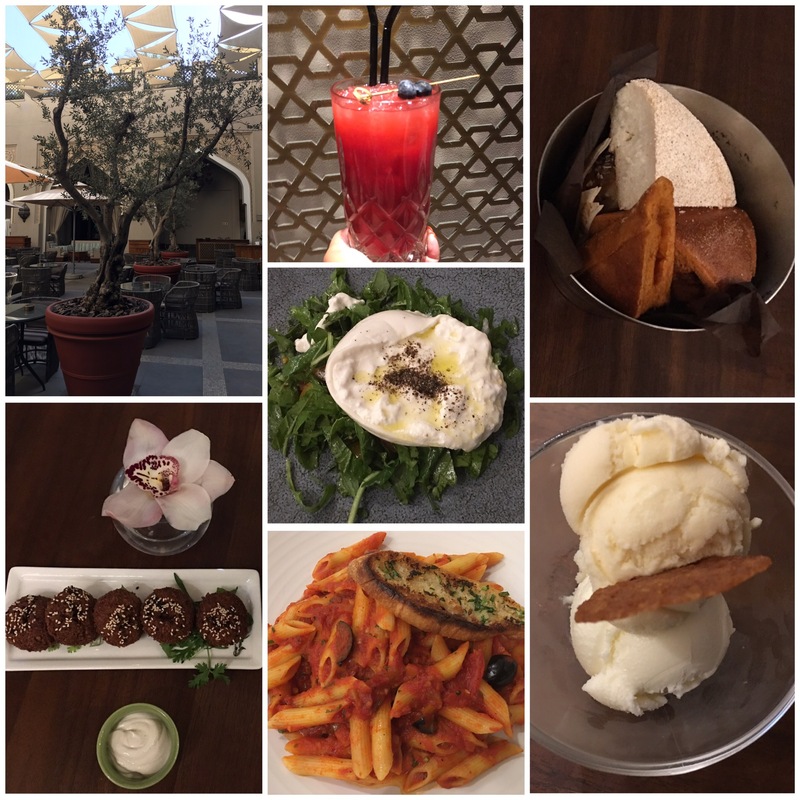 Last weekend, I had a staycation at the Arabesque inspired modern boutique hotel Manzil Downtown, and we booked our table for dinner at The Courtyard. It is a popular restaurant and Shisha lounge in Manzil-Downtown Dubai, reservations are recommended especially during the weekend. 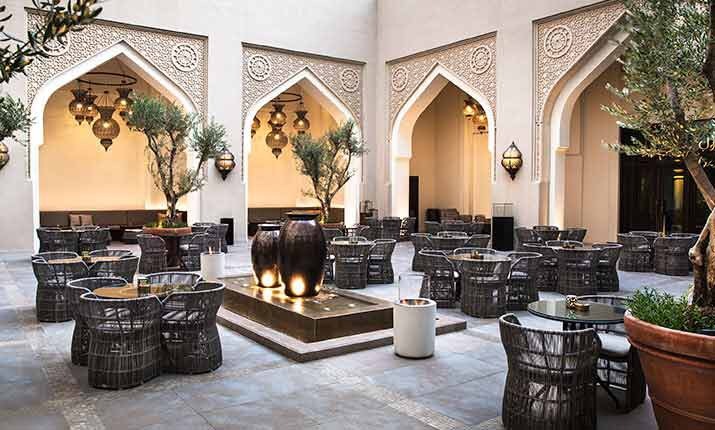 The Courtyard is located in the centre of the hotel and it offers al fresco dining experience. The Courtyard is a Mediterranean restaurant that offers a great selection of dishes along with some amazing drinks and good Shisha. The setting of the place is truly beautiful, as it masterfully blends colors, designs, tastes and sounds. Colorful lamps, potted plants, outdoor furniture and lounge music, adds vibrancy to the place. The atmosphere is laid-back and relaxed. Its a kind of place, where you want to spend your evening with friends. A must-visit destination for all Shisha enthusiasts. The Courtyard offers an à la carte menu which is simple and to the point. Their drinks menu offers cocktails, mocktails, fresh juices, wines and other spirits. We ordered their super tasty and fresh Berry Blast mocktail. As we had a heavy brunch in the afternoon, we wanted to have a light dinner. So we didn’t order anything from their cold and hot mezze. We were served complimentary basket of freshly baked Bread. Burrata salad was fresh and delicious. It came on a bed of rocket leaves with chopped cherry tomatoes. Falafel was served with a hummus dip. It was light, fluffy, crisp and full of flavor. For main course, we ordered Penne Arrabbiata. It was a perfectly done dish that was spicy and well-made. This pasta was served with a toasted garlic bread on the top. Our dessert was the heavenly tasting Ashta ice cream. I loved the gelato-like texture of this Lebanese ice cream. We enjoyed our dinner. The food, the drinks, the service and the atmosphere was good. P.S. – The first picture on the top is courtesy Vida Hotels!